So you want to be an expert in fine wines, do you? You can’t just watch a few YouTube videos (or read a few of my saratoga living columns) to make it happen. You actually have to study wine. How can you make your oenological dreams come true? The Wine & Spirit Education Trust (WSET), that’s how. In 1969, the WSET was set up by the Vintners’ Company, one of the ancient guilds of the City of London, to educate trade professionals in the wine and spirits industry. Three qualifications were offered to around 2000 candidates each year. (You can be awarded qualifications, such as a Level 1 Award in Wines and a Level 4 Diploma in Wines and Spirits.) By the end of the ’90s, WSET courses were being offered in the United Kingdom, North America and across Europe, the Middle East, Asia and Australia. In 2001, WSET was accredited as an awarding body with qualifications recognized by the UK government. 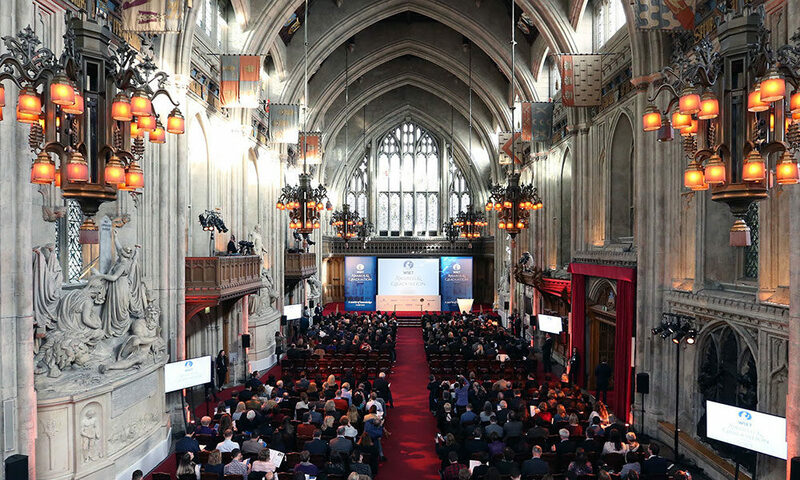 In 2007, I received my Diploma in Wines and Spirits at a graduation ceremony in the Guildhall in London, and since then, Putnam Market has been recognized as an Approved Program Provider of WSET qualifications. We’ve been educating wine trade professionals and interested consumers in the Capital Region ever since. Today, there are 95,000 candidates currently studying for WSET qualifications in 75 countries and in 15 languages. To celebrate the 50th anniversary of qualifications being awarded to budding wine experts, WSET is set to present a worldwide “Wine Education Week,” from September 9-15, and Putnam Market will be holding related events as part of the celebration. We’ll be offering introductory “vine to wine” classes, setting up food-and-wine pairing sessions and organizing visits to local winemakers—events to help Saratogians make wise choices when choosing their next bottle. If you have a suggestion for other wine-related events you’d like to take part in, let me know. If you’re interested in WSET, I can also help you out. I’m in the Wine Room at Putnam Market most days, so we can meet up in person, or you can email me at william@putnamwine.com.